Palisades Nuclear Power Plant completes refueling, operations upgrade. Entergy Corp. announced the completion of refueling, maintenance and upgrade operations at its Palisades Nuclear Power Plant on Tuesday. According to the company that upgrade and corrective actions taken at the plant, it can return to the top safety category determined by the U.S. Nuclear Regulatory Commission (NRC). This outage began on Sept. 16 and returned to operation on Monday. Approximately $121 million was invested into the plant to cover maintenance, repairs and fuel replacement for the facility. During the outage, approximately 1,600 people were working with the plant, including temporary workers. With refueling outage completed, the plant is expected to run at operating capacity for an 18-month period, and the company reports that the facility had operated at an average of 98-percent capacity during its previous operation cycle. The Palisades plant is located near South Haven, Michigan, and has a generation capacity of approximately 800 megawatts of electricity. Across its entire nuclear fleet, the company reports a generating capacity of approximately 10,000 megawatts. 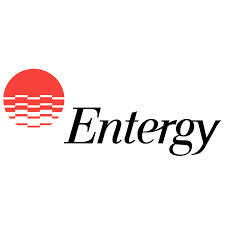 Want to get notified whenever we write about Entergy Corp ? Next time we write about Entergy Corp, we'll email you a link to the story. You may edit your settings or unsubscribe at any time.